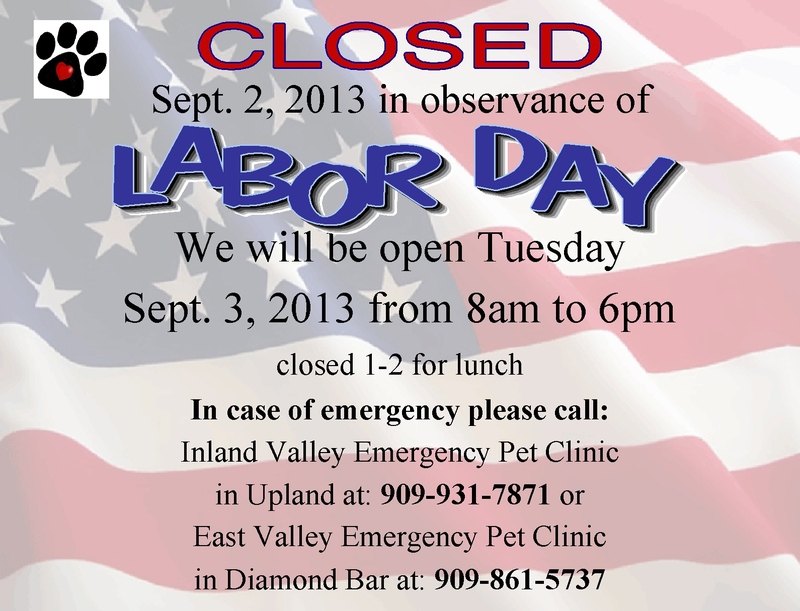 In honor of Labor Day we will be closed on Monday Sept. 2, and will resume normal office hours on Tuesday Sept. 3. 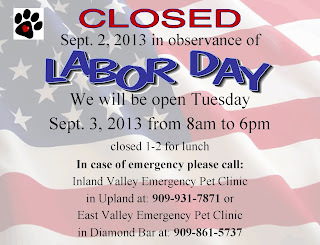 Have a safe Holiday! !